Welcome to the terms and conditions ("Terms") for our Subscribe & Save subscription ordering program ("Subscribe & Save"). These Terms are between you and Amazon.com.ca, Inc. and/or its affiliates ("Amazon.ca", "we" or "us"), and govern our respective rights and obligations. 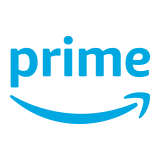 The Terms, together with applicable terms and conditions related to your purchase and any promotional offers provided to you for use with Subscribe & Save, constitute the entire agreement between you and Amazon.ca related to Subscribe & Save. Please note that your use of the Amazon.ca website is also governed by our Conditions of Use and Privacy Notice, as well as all other applicable terms, conditions, limitations and requirements on the Amazon.ca website, all of which (as changed over time) are incorporated into these Terms. If you place an order through Subscribe & Save, you accept these terms, conditions, limitations and requirements. Please read these Terms carefully. The Subscribe & Save benefits discussed on the Subscribe & Save details page and Frequently Asked Questions page are part of these Terms. 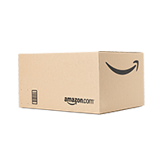 Amazon reserves the right to change the Subscribe & Save benefits, including the discount amounts and the eligibility used to determine discount amounts, at any time in its sole discretion. All changes will apply to future orders, regardless of whether you have a current subscription. Subscribe & Save benefits are limited to items displaying the Subscribe & Save offer message and the seller indicated in the offer message. To see a full list of eligible items, visit http://www.amazon.ca/subscribeandsave. Subscribe & Save is only available to customers shipping to addresses in Canada. Your participation in the Subscribe & Save is personal to you, and you may not assign or transfer your subscription or any of the benefits to any third party without our authorization. If any problems arise with your Amazon.ca account, the shipping address or payment method associated with your subscription order that we are unable to resolve, we will notify you via e-mail using the address associated with your subscription asking that you resolve the problem and reactivate your subscription. Your subscription will be placed on hold and no additional orders will be processed or shipped until the problem has been resolved and the subscription has been reactivated. Subscribe & Save discounts and any Subscribe & Save limited time special subscription promotions in effect apply only to eligible items displaying the offer message on the Subscribe & Save item information pages and by selecting the Subscribe & Save delivery method. All returns under Subscribe & Save are subject to the Amazon.ca Returns Policy. Subscriptions are good while supplies last or until the Subscribe & Save discount on a particular product is cancelled. Subscriptions are void where prohibited. 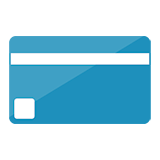 Valid credit cards are the only payment method accepted for Subscribe & Save purchases. Do not sign up for a Subscribe & Save subscription with a debit card. Also known as a "check" or "ATM" card, a debit card typically has the word "debit" printed on the face of the card. MasterCard uses a unique debit hologram above the MasterCard logo. Visa identifies its debit cards as check cards and prints the word debit above the Visa logo. Your Subscribe & Save discount will be applied to the Amazon.ca price of the item. Because the Amazon.ca price may change from time to time, the amount you pay each month may change. The email reminder you receive before each delivery will provide advance notice of any changes, and remind you that you can cancel the order or make subscription changes before the items are shipped. Any Amazon.ca eligible promotional credit balances on your Amazon.ca customer account may be applied toward the balance of your order before charging any remaining balance to your credit card. The charge for each Subscribe & Save item shipment will be billed to the credit card used to create your subscription or as otherwise directed by you. If we are unable to complete your Subscribe & Save order with the credit card you used to create your subscription, you authorize us to update your subscription with another credit card in your account and to charge the credit card for your Subscribe & Save order. Your subscription will remain in effect until it is cancelled. If you cancel your subscription and then reactivate it, the discount applied to the Subscribe & Save item may not be the same discount in effect at the time of cancellation. If the Subscribe & Save discount percentage for such Subscribe & Save item changes, the new discount will be applied to your future shipments of that item. Special limited time subscription promotions only apply during their effective dates. We may, in our sole discretion, change these Terms, Amazon.ca's general Conditions of Use, Privacy Notice, as well as all other applicable terms, conditions, limitations and requirements on the Amazon.ca website by posting revisions on Amazon.ca with no additional notice to you. YOUR CONTINUED PARTICIPATION AFTER WE CHANGE THESE TERMS CONSTITUTES YOUR ACCEPTANCE OF THE CHANGES. IF YOU DO NOT AGREE TO ANY CHANGES, YOU MUST CANCEL YOUR SUBSCRIPTIONS. IN ADDITION TO THE OTHER LIMITATIONS AND EXCLUSIONS CONTAINED IN AMAZON.CA'S CONDITIONS OF USE, IN NO EVENT WILL WE OR OUR DIRECTORS, OFFICERS, EMPLOYEES, AGENTS OR OTHER REPRESENTATIVES BE LIABLE FOR ANY DIRECT, INDIRECT, SPECIAL, INCIDENTAL, CONSEQUENTIAL, OR PUNITIVE DAMAGES, OR ANY OTHER DAMAGES OF ANY KIND, ARISING OUT OF OR RELATED TO YOUR SUBSCRIPTION OR PARTICIPATION IN SUBSCRIBE & SAVE. OUR TOTAL LIABILITY, WHETHER IN CONTRACT, WARRANTY, TORT (INCLUDING NEGLIGENCE) OR OTHERWISE, WILL NOT EXCEED THE AMOUNT OF ALL SUBSCRIBE & SAVE PAYMENTS ACTUALLY MADE BY YOU DURING THE COURSE OF YOUR SUBSCRIPTION. THESE EXCLUSIONS AND LIMITATIONS OF LIABILITY WILL APPLY TO THE FULLEST EXTENT PERMITTED BY LAW AND WILL SURVIVE ANY CANCELLATION OR TERMINATION OF YOUR SUBSCRIPTION OR PARTICIPATION IN SUBSCRIBE & SAVE.